Open Educational Resources (OER) are defined by the use of a Creative Commons license and are generally created by those who would like to share their work globally. 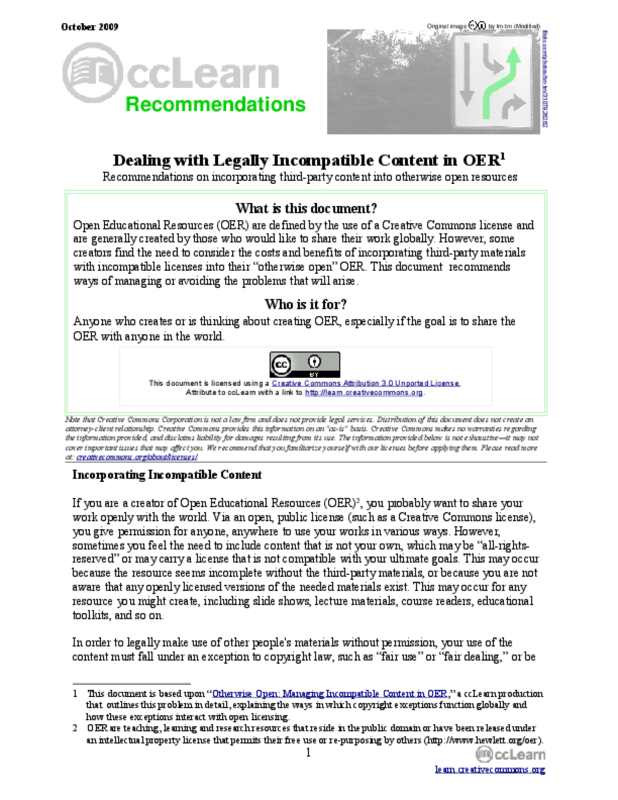 However, some creators find the need to consider the costs and benefits of incorporating third-party materials with incompatible licenses into their "otherwise open" OER. This document recommends ways of managing or avoiding the problems that will arise.